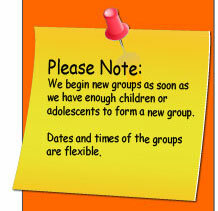 The Social Skills Groups It always starts with you. This new year, lead your children so they feel good about themselves and they will attract friends into their lives. Many parents feel overwhelmed by their responsibilities, their own past experiences, and their children’s distress, that they do not know where they are going. If we want to be good leaders for our families, we need to actually put on our calendar joyful times. Granted the children may have nice involvements, and even if they are all good things, if we as parents are not happy, the legacy for them and their mental health is not good. Childhood should be a happy and a carefree time in a person’s life. The greatest thing we can do for our children is to first focus on our self. This is not proposing that we put our children last on our list. But by focusing on our self, and taking care of our self, we will have a happier and healthier relationship with the whole family. It always starts with our self. Listen to music. Attend a concert. Go on a weekly date with your spouse without the children. Meet with other friends too. Meet a friend for lunch or coffee/tea. Read a good book. Join a book group. Be involved in the arts by playing an instrument, painting, writing, singing, or even photography. Be involved in life and other things aside from the children, things that you enjoy. Children just need our calm influence, someone who will tolerate their feelings. Do not become reactive to their reactions and frustrations. Just remember they need CALM. A big struggle parents have is with their own emotional reactivity. Instead of anxiously trying to control your children, concentrate on what you can control—calming your own emotional reactions. If we as parents want to be influential, then we have to first bring ourselves under control. Only then can we choose a wise response. If we do not control ourselves and our reactivity, the children will internalize our anger and disappointment in them. They will then have a “negative self” residing in them, since they internalize us. They cannot attract friends into their lives this way. So remember if you want to be a good leader for your family, take care of yourself. The Social Skills Place wishes you a healthy and a happy New Year. Make it a good one.